Bright and her husband, Bill, founded Campus Crusade for Christ (now known as Cru in the United States) in 1951, and committed their entire lives to ministry. 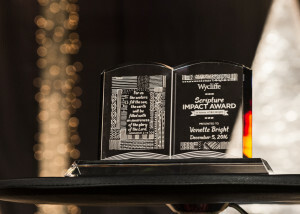 In 2003, they joined Wycliffe USA to create the Scripture Impact Award to honor our mutual commitment to the role God’s Word plays in reaching the world for Christ. Vonette Bright passed away in December 2015. 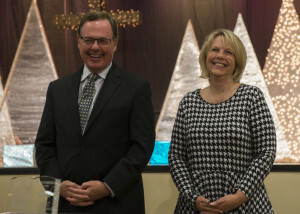 “My wife, Dallas, and I counted it a privilege to be one of Vonette’s friends,” said Bob Creson, President and CEO of Wycliffe USA. “Her work, as well as that of her dear husband, Bill, and the ministry of Cru are completely entwined with Wycliffe. Steve Douglass, President of Campus Crusade for Christ International and Cru, also shared several memories with Vonette at the event. “Vonette once said, ‘It is the book that tells us how to relate to God; it tells us how to relate to each other; it tells us how to relate to family. This book tells us so much of the truth we should be applying every day and with such excitement,’” Steve said. 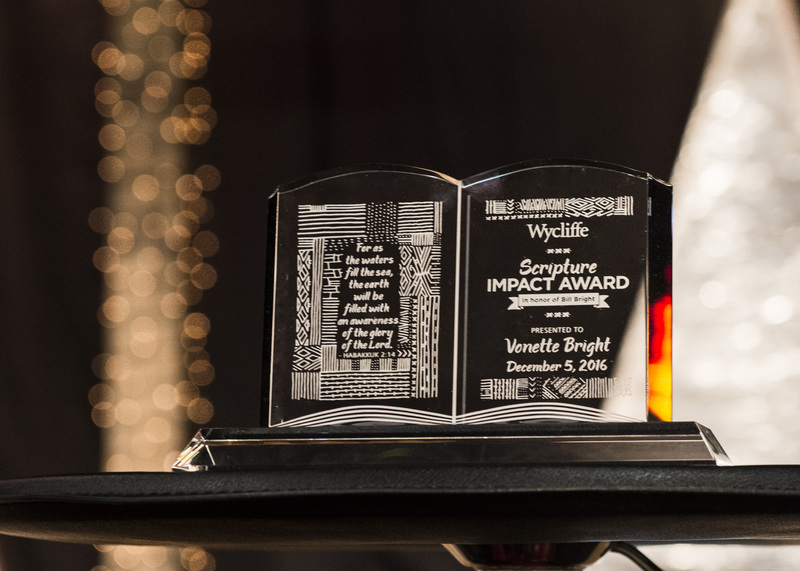 The Scripture Impact Award commends men and women who have a passion for the Bible and demonstrate a personal commitment of mind, will, resources and influence to see that God’s Word reaches, engages, and changes people. Previous recipients include U.S. Senate Chaplain Dr. Barry Black, Dr. Luis Palau, Dr. Billy Graham, Dr. Chuck and Cynthia Swindoll, Drs. Tony and Lois Evans, Bobby Gruenewald and Rick Warren. 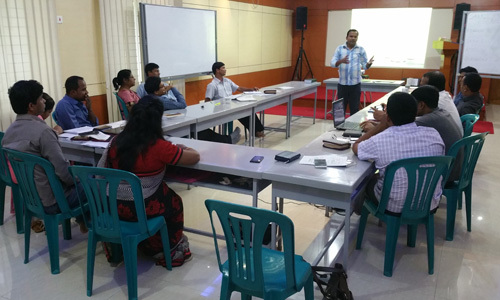 If you want to find out about the part you can play in impacting the world for Christ, we’ll connect you to Wycliffe here. Thank God for the way He empowered Vonette Bright and the legacy of uplifting God's Word that she left behind. Why are Americans so apathetic toward Syria?